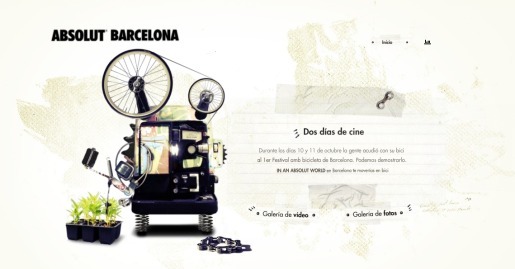 Absolut World of Barcelona is today’s site of the day. 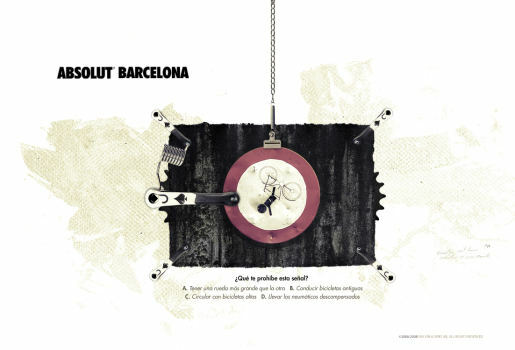 The site, promoted by Swedish vodka brand Absolut imagines Barcelona as a city without fumes or traffic jams, connected by the mode of bicycle. In the Absolut World of Barcelona citizens can find out if they are ready for the new regime. They can get their bike license by passing a three question exam on matters such as traffic signs and bicycle maintenance. The site is only in Spanish. 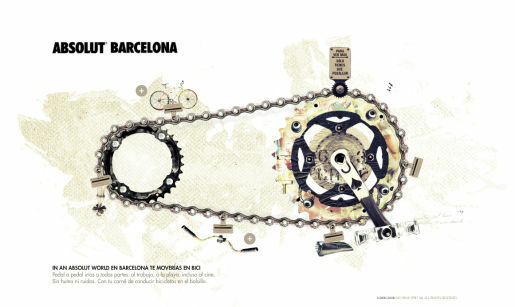 The World of Barcelona concept was to be implemented with a real event, the First Barcelona’s Bike Film Festival: a film festival you could only attend if you went by bike. Movies were to be shown related to the world of bikes, such as E.T. or The Goonies. The website reinforced the advertising of the event on internet, and also collected multimedia material for it. Unfortunately the event was cancelled, due to scheduling conflicts. WYSIWYG was acquired by RazorFish in October.